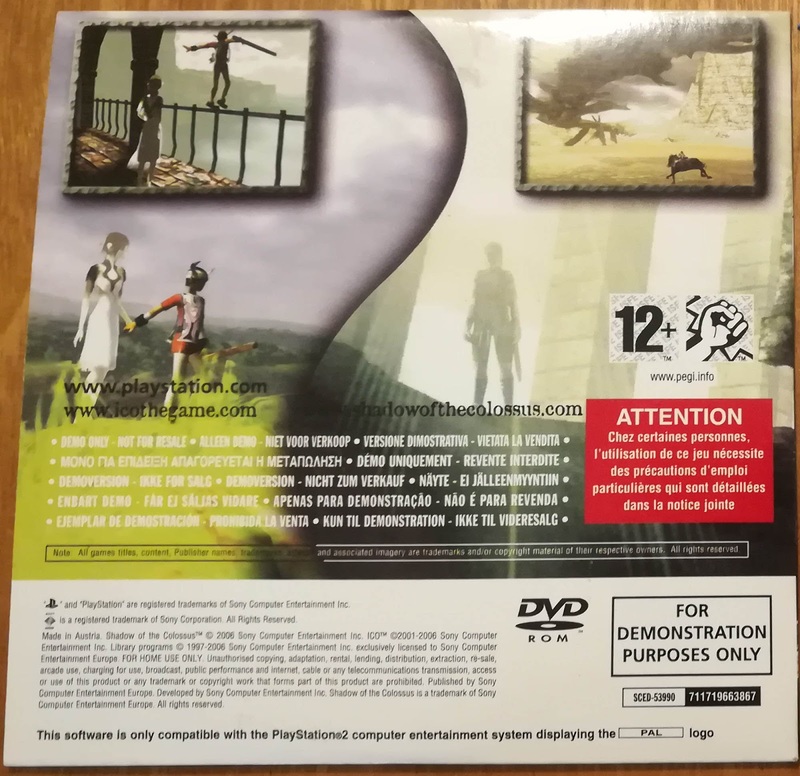 We recently snagged this dual Shadow of Colossus / ICO demo for preservation. I'm not sure what to say of it other than it seems relatively rare with only 1 google hit for the serial number (SCED-53990) other than my own redump miss list entry. 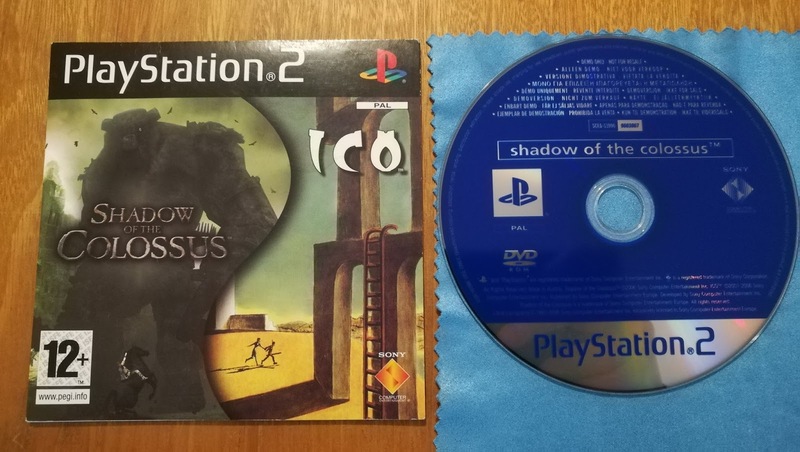 The disc lists only Shadow on the title, but both games are present as demos. It's common to see these two as standalone demos, but this is the only time I've spotted them as a dual demo.